Mitsubishi released two new home theater models at CEDIA, the HC8000D-BL and the HC7900DW. These two are quite similar, but there are real differences to pay attention to. Bill's HC8000D-BL review focuses primarily on the HC8000D, and contains a section outlining the differences between it and the HC7900DW. One of those differences is that the HC7900DW is slightly less expensive and sells in open distribution through online resellers. So it is easier to get. The HC8000D-BL is in limited distribution and available through HT specialty retailers and custom installers. 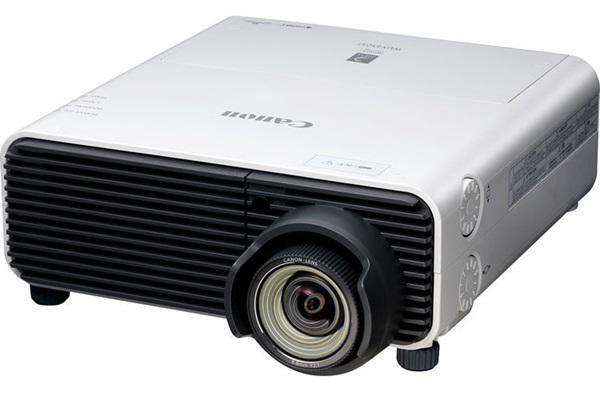 Most of the time when vendors release slight variations of a projector for different channels, the model in open distribution is the better deal for DIY home theater buyers. It costs less and usually performs about the same. But in this case, the performance and overall value proposition of the HC8000D-BL is, we believe, the more attractive of the two options. So the HC8000 is definitely worth seeking out. The ViewSonic Pro9000, a hybrid Laser/LED driven 1080p home theater projector with a 20,000 hour light engine, is next up for review. That review is about complete and should be posted Monday or Tuesday. We are still waiting to hear from Epson on the arrival of the 3020 and 5020. They should be here soon, but we have no firm date as of yet. Looking forward to news on the Pro9000. I have Viewsonic's Pro8200, and visual quality is ok (for DLP - B&W is unwatchable), but it's way too distractingly loud. It's also not very versatile, like this model, so hopefully the pricing will be much lower than their announced price. Otherwise, ignoring often meaningless specs, the 2+ year old Epson 8350 is still probably the best model out there for basic quality, low noise and reasonable pricing.